Ta – Dah. 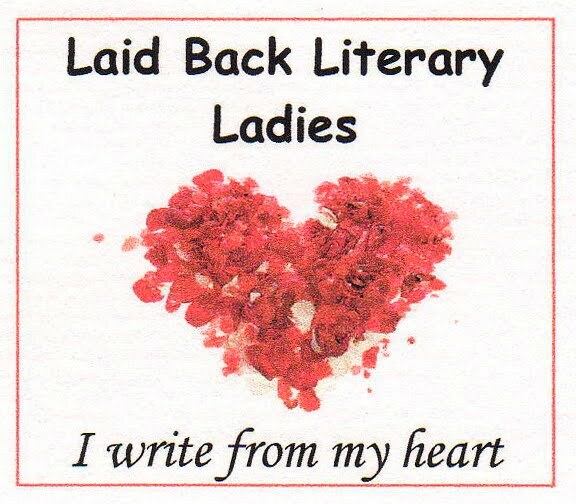 I hereby officially launch the Laid Back Literary Ladies Society. My inspiration is the great characters at the heart of Irish literature, Brendan Behan and Paddy Kavanagh and all those guys who probably wrote on the back of a cigarette packet. Love the logo and will definitely be sending it on to others. Oh what a lovely badge! So very pretty. I am delighted to be listed amongst these auspicious writers. I am taking my badge now, wish I had this reminder when I woke at 3:30AM unable to sleep and tried to write! What did I accomplish..NADA! Thank you for this reminder Barbara. Good luck with the laid-back writing, everyone. Hello fellows of the LBLS. Glad u all liked the badge – like Jane my occasionally useful OH sorted it! And thanks Brigid for the suggestion of contacting Alex MCCall Smith. I did already and told him all about us and sent him a copy of our badge!!! Aren't we a lovely society altogether! Wow, I'm honored to be in such great company! I'll get the badge up “write” away. 'Tis a lovely badge you hath created Ms Barbara and a great idea. I genuinely do always write from the heart so here, here to this. In honor of my beautiful Irish pal Joan who just introduced me to your wonderful blog, I join! At Birds and Seashells. I am grabbing your badge for my blog, it is my first one. Never saw one that I wanted before….love this one!